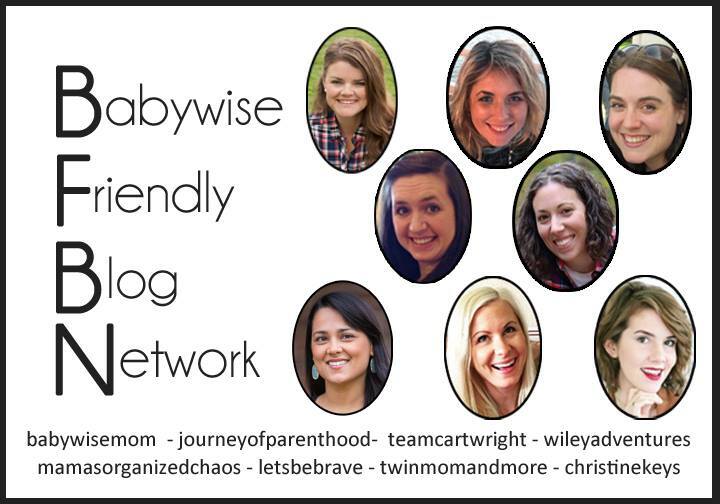 The bloggers of the Babywise Friendly Blog Network are all writing on the topic of summer and outdoor play. Check out all of the post links below! So the reality, is that you don’t need any of these things for summer. 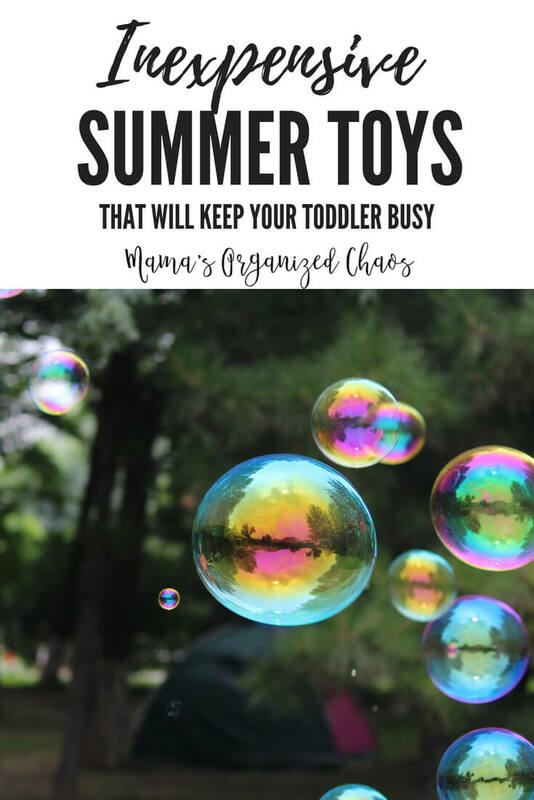 That being said, as parents, we know all too well that a little change up in the toy rotation can work wonders for keeping your child entertained and having fun. 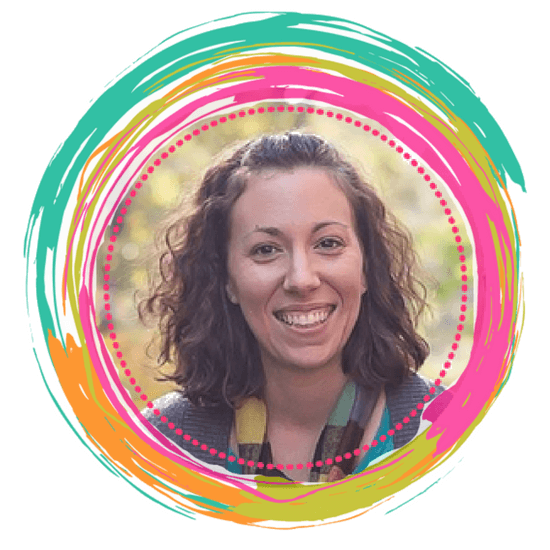 With endless time in the summer, it feels essential to have an activity each day that can excite your child and get them engaged. I am all about just going outside and exploring. Find sticks, rocks, flowers, etc. 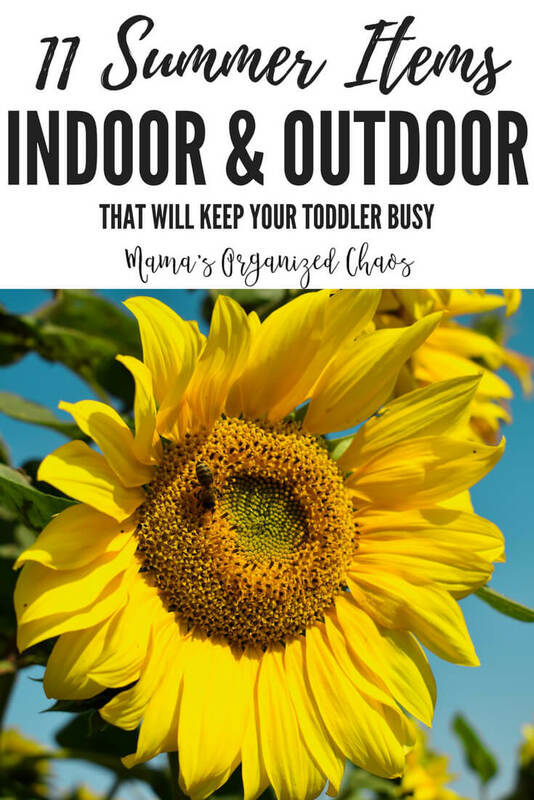 Just be outside with your child and let them get dirty! These are some items that can be with you on that outside journey, and some to use inside when the weather might be too hot. At 3.5 our daughter can play with these on her own, all by herself. 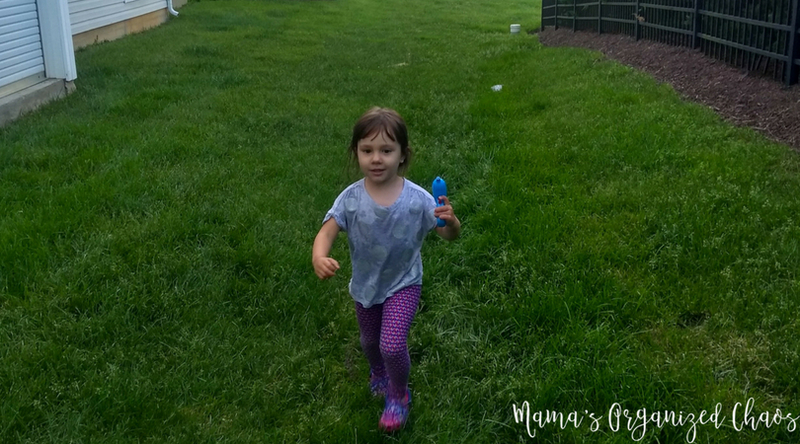 We, of course, join her at times, but she also does great independent play– especially when outside! These are relatively inexpensive items that will last a long time. Once you have them, you have them for every summer. The great part, is that children don’t outgrow these types of toys very quickly. They’ll have fun with these items for years to come! I’ve grabbed these items to show you, off of trusty old Amazon, since most of us have prime memberships and take advantage of the ease of online shopping. I keep our prime membership going mostly for amazon video. I love that we can get great shows like Daniel Tiger to watch for free! We’ll also be utilizing that during the summer a bit more than usual. I want to also mention that my new favorite place to buy fun toys like this is Dollar Tree! If you have one near you and want a fun outing, check it out. Everything is actually $1 and you can find many of these things there. I bought a whole marker set there (for $1), whiteboards, wipe clean books, sand buckets, etc. Today they had squirt guns, bubbles, pool noodles, jump ropes and so much more! Bubbles are always good fun. Kids have fun chasing them, trying to blow the bubbles themselves, and even just watching them as they float through the air. There are fancy bubble machines, and bubble guns, but honestly I love the good old fashioned kind that you just blow. They last longer, and kids have fun trying as well! For some good exercise, challenge your child to catch one! They will be running and running and running! Good old fashioned summer fun with chalk is always a blast. Kids can decorate the sidewalks in rainbow colors. You can even draw games like hopscotch. When Caroline was younger, I drew shapes. I’d yell out a shape and she’d have to get to it as fast as she could. You could do the same with letters, numbers, and colors. There are endless games to come up with! Sprinklers provide water. Water always equals fun! If you don’t have access to a pool, or don’t want to pay for a pool membership, get a sprinkler for some good water fun! When I was a kid, we’d turn the sprinkler on and run through it in our swimsuits! Sand buckets can be used for more than just sand! Of course, sand is fun if you have access to the beach or a sand box. These buckets are great for collecting things outside. The shovels are great for digging in the dirt, and finding things in creeks. We take our bucket and shovels with us on most outdoor adventures! Scavenger hunts are always a lot of fun and can be used to take up a good chunk of time. We make our own (I just come up with a list of outdoor things to find), but I actually really love the idea behind this scavenger hunt. Instead of being objects/things to find (sticks, leaves, ladybugs, etc. ), this scavenger hunt has you find items with certain qualities (thin, tall, small, etc.). I love the spin on it and how it gets you finding all sorts of things! I think this would really get kids thinking and engaged! Balls– never underestimate them! This is an inexpensive pack of balls. You get a basketball, a football, a soccer ball and a baseball. This makes for great family time outdoors, throwing and kicking the balls back to one another. And, this toy lends itself naturally to playing with others. Your child might naturally make some friends at the playground with this. Butterfly nets are fun for getting kids running and trying to catch things! I also love these for use in a creek, and trying to catch little fish! Plastic tubs are way cheaper than water tables. It just so happens you can fill them up with water and have an instant water activity without the expense of a fancy water table. Add some bath toys, or even just some kitchen gadgets for endless fun. We give our daughter plastic cups, spoons, measuring cups, and other containers to use. She has a blast and even gets in the tub herself at times. Plus, it serves a second purpose of holding all of those fun outside activities/toys in one convenient location! For some indoor fun to beat the heat, try these wipe clean books. Our daughter is 3.5 and she’s really enjoying tracing. We’ve been using wipe clean books since she could first scribble and hold a marker, though. They are great for fun drawing, even if just doodling on them! More indoor fun. Color by number books are something I’ve been really wanting to try with Caroline. I think she’s at the perfect age to follow something like this. She actually has an app on the Ipad that she uses to paint by number. In fact, I think a paint by number would be even better if I could find it! This first mosaic kit is too cute not to mention. We got this last Christmas, I believe. Caroline was just barely 3. She had a blast with this, and could pretty easily do it on her own. They have to stick foam stickers down on the board, while matching color and shape. You can then hang the pictures up (they even give you supplies). Super fun indoor activity! I just had to come back and add this bonus item today. Squirt guns are so much fun. My daughter just spent 2 hours outside playing and making new friends while sharing her squirt guns. This is so worth buying a big pack to share!